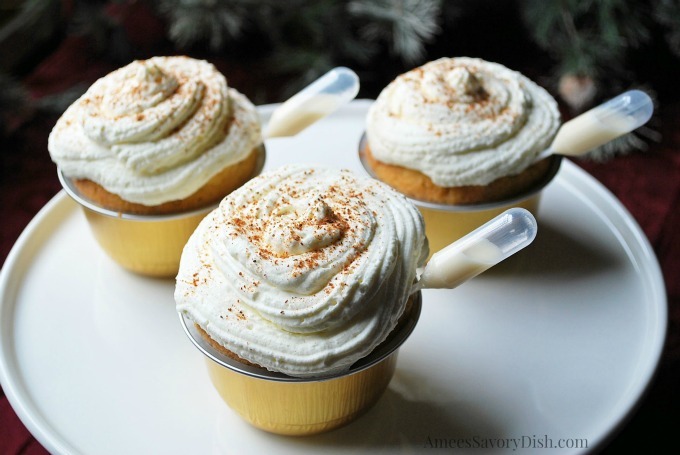 *This post for Egg Nog Cupcakes is sponsored by Restaurantware. All opinions are my own. 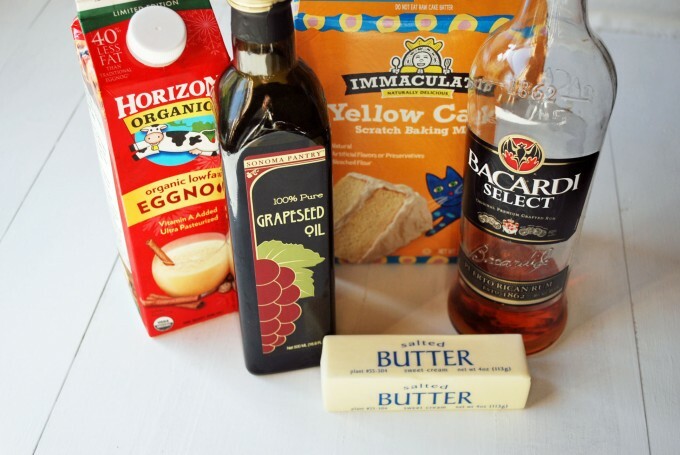 The holidays are a busy time of year, so I wanted to come up with a fun “cheater” recipe using my favorite all natural boxed cake mix to save time, but not sacrifice quality or taste. I’m also sharing some wonderful products from Restaurantware to make holiday entertaining simple and fun. 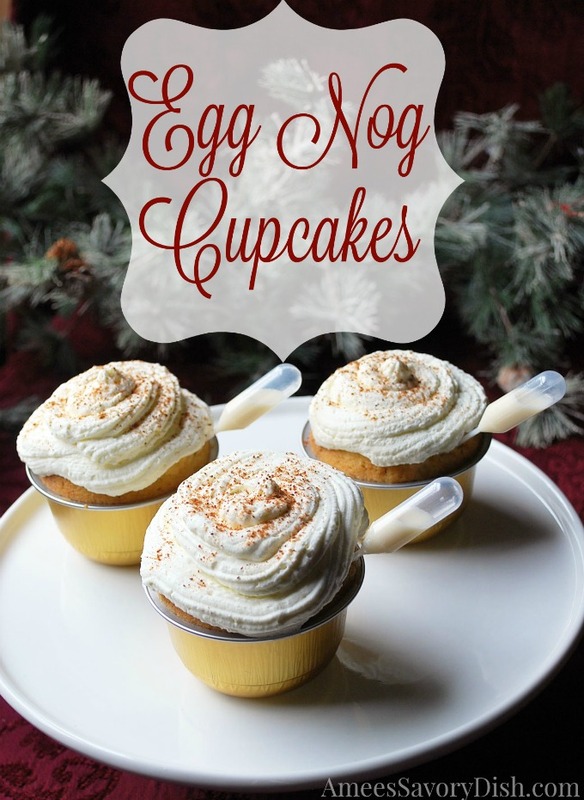 These Egg Nog Cupcakes with Rum Whipped Cream are made with the vanilla Immaculate cake mix. I love that these mixes don’t use bleached flour, have minimal all-natural ingredients and do not use any artificial flavors or preservatives. Win! They are my favorite short-cut hack when making cakes and cupcakes. When I’m in a pinch, I don’t want to fuss with baking from scratch. Not to mention, the results are delicious and they turn out more moist and dense, like homemade cakes. This post is all about saving you time and keeping things stress-free and fun! 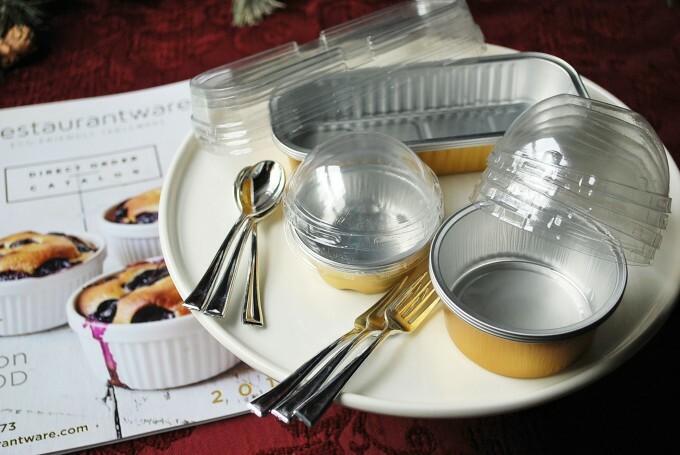 *Recyclable metal cupcake liners and pipettes from Restaurantware’s 2016 direct order catalog. To get your own catalog, visit restaurantware.com. When you entertain, it’s nice to use disposable containers for fast clean up. You don’t want them to look cheap or tacky, so quality is important here. Also, it’s important that tableware is eco-friendly to protect the environment. Disposable containers are also great for food gifts, to make a nice presentation. I love the different varieties of eco-friendly cupcake, loaf pans and mini serving utensils that Restaurantware has to offer. Another cool product that makes an impressive presentation are these Gastro Science Food Grade Pipettes. They are fun for adding different liquid garnishes to desserts, like these egg nog shots. Inject them into the cupcake and you’ll get a nice kick, plus added moisture to the cake. You can get really creative with these garnishes. Here are some of the things you’ll need for this recipe…..
Line 24 muffin tins with paper cupcake liners. Beat cake mix, egg nog, butter, oil and eggs on low for 30 seconds. Switch to high speed and blend for 2 minutes, scraping down bowl a few times. Pour batter into cupcake liners, filling 2/3 full. Bake 18-23 minutes, until toothpick comes out clean. Chill mixing bowl and beaters for 5 minutes in the freezer while you gather your ingredients. Pour whipping cream into cold bowl and whip on high for about 1 1/2 minutes, it should be pretty thick. Add rum (or bourbon or vanilla) and confectioners sugar and beat another 1-2 minutes until cream is thick for frosting. Stir rum and egg nog together and fill pipettes. Frost cupcakes with whipped cream. Place a pipette into the side of each cupcake to be enjoyed as a shot or to inject into cupcakes for an added kick. Garnish cupcakes with a little freshly grated nutmeg. What are your favorite baking hacks and time-saving tips for party planning? I’d love to hear them in the comments below! Don’t forget to check out Restaurantware for all of your food fashion needs!